The middle of February might bring with it the coldest days of the year, but it also brings us the most heartwarming one. You got it: Valentine’s Day! While also our favorite excuse for eating way too much chocolate, Valentine’s is mostly a day for letting people know how much you care about them. Whether you’ve got plans with your favorite flame or your best girlfriends, Valentine’s is a time to embrace your romantic side (while laughing at yourself a little). Dressing up is half the fun, so begin by pulling out all the red, pink, and cream colors you’ve been hiding in your closet. 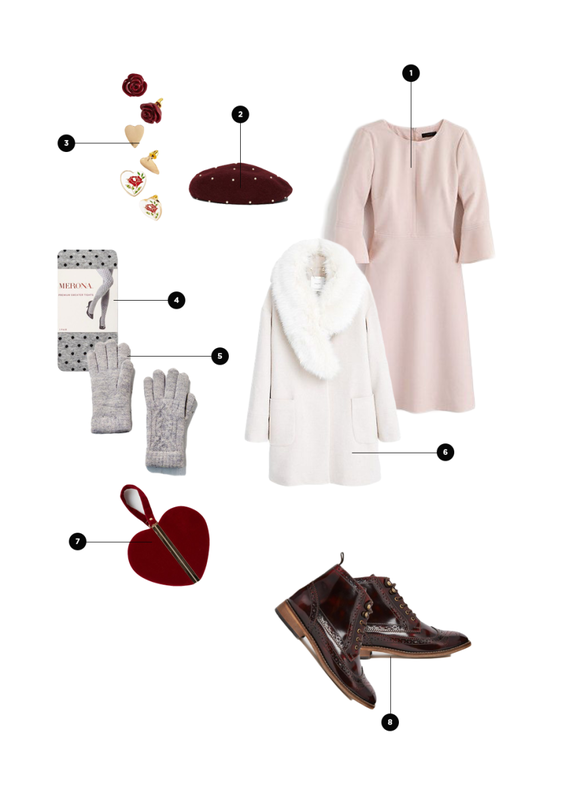 The perfect Valentine’s Day outfit is all about feminine styling, quirky accessories, and Valentine’s-appropriate color combinations. 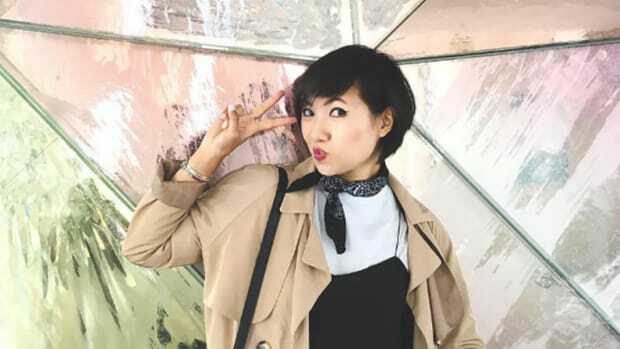 No matter what kind of date you have planned for February 14, we’ve concocted a few fetching ensembles for your inspiration. Images of candlelit dinners and red roses often come to mind when envisioning a traditional Valentine’s date. This conventional form of courtship is a classic because it works. You see, there’s no question about whether it’s a “real” date when you’re sharing a slice of chocolate cheesecake at a nice restaurant on Valentine’s Day. Sophisticated elegance is your M.O. for the night, so if you have a striking red dress hanging in your closet, now is the time to take it out for a spin. Red and black is a romantic and mysterious color scheme, so complement your dress with a pair of sleek black pumps. As for jewels, diamonds and pearls never fail. Cue the candles, please. The bonus of an ice skating date is that your cheeks will be so rosy from the crisp winter air that your date won’t even be able to tell when you are blushing. Let’s hope someone thought to string out some twinkly lights for your skate date to add that extra bit of atmosphere. To really enjoy your skating date, you’ll have to be dressed warmly. But that doesn’t mean you can’t dress up. Start with a fit-and-flare dress that will allow you to skate freely. 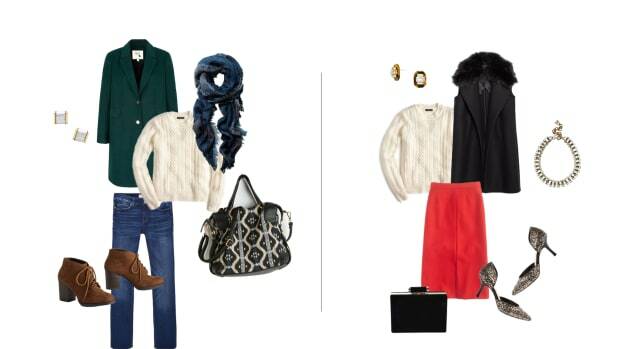 A wool coat with a faux-fur collar will frame your beautiful face while also looking romantic and festive. Of course, you cannot take to the ice without a pair of knit tights. 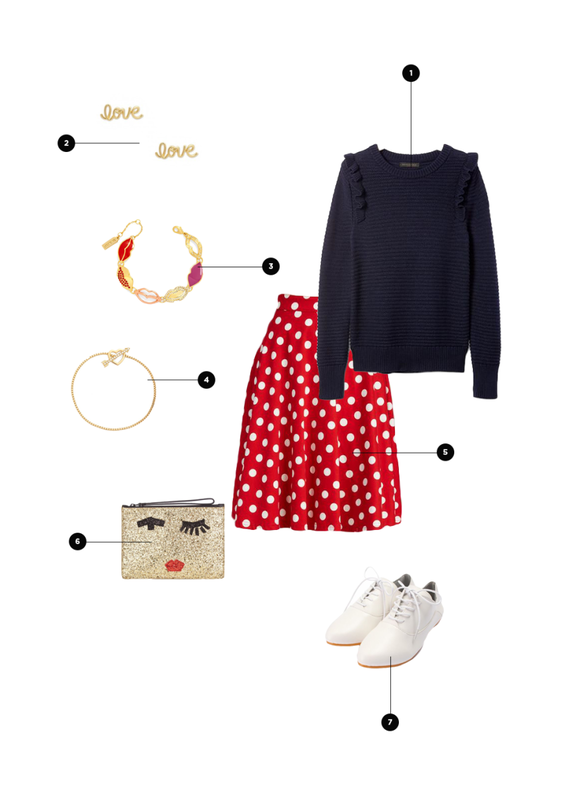 Let your Valentine’s flair show with a pair of polka-dot tights and a heart-shaped bag. And don’t forget your darling beret and mittens. Who said a date had to wait until dinner? Valentine’s Day is on Sunday this year, and Sunday and brunch are basically a couple. Whether you are meeting a new crush, gathering with a group of your best girls, or catching up over coffee with your mom, let them know you care about them by putting a little extra effort into your outfit. By incorporating some Valentine’s elements, they will know they are an important part of your day. When dressing for a brunch date, you want to be comfortable and casual but also a little glam because, hey, why not? 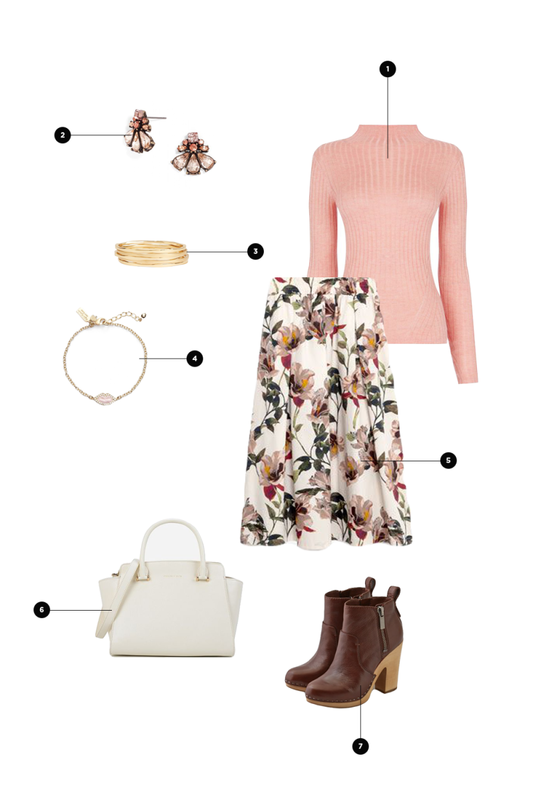 Opt for an especially beautiful sweater in soft pink and a femininely floral midi skirt. 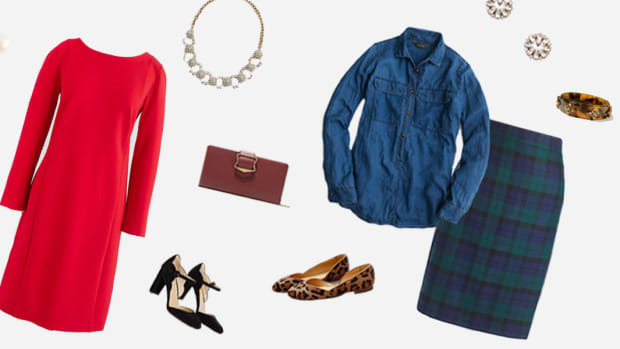 To make your outfit brunch-appropriate, dress it down with a pair of heeled leather booties. Maybe you’ll even find yourself some heart-shaped pancakes. Valentine’s might be the one day of the year when you don’t have to argue over movie choice with your significant other because a rom-com is the only plausible option. As for what to wear . . . let’s be honest, normally you would wear your sweats to watch TV. But because it’s a date, you still want to look cute. But you don’t want less-than-movie-comfy clothing distracting you from the niceness of cuddling up with your best guy over a bowl of popcorn and a glass of wine. A pair of jeans that has a high spandex blend will have you comfortable and cute. 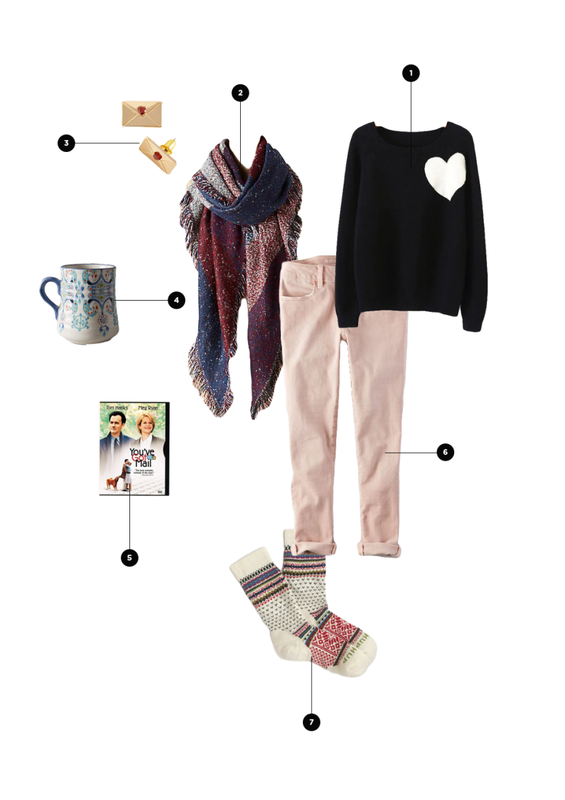 Rather than settling for a sweatshirt, try a knit sweater that is equally comfy. 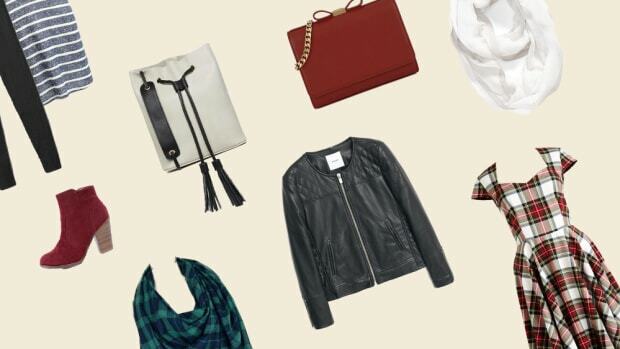 Throw on a blanket scarf to cleverly add some style to your outfit while staying cozy. Don’t forget your favorite pair of quirky knit socks. You’ve Got Mail, anyone? If you haven’t heard of Galentine’s, it’s the day before Valentine’s that’s dedicated to you and all the lovely ladies in your life. Even the best Valentine’s dates can be a little nerve-racking, but Galentine’s is all about having fun. When you’re choosing an outfit to party in with your girlfriends, you get to dress completely for yourself. So pull out your girliest duds, and don’t even worry about going overboard. 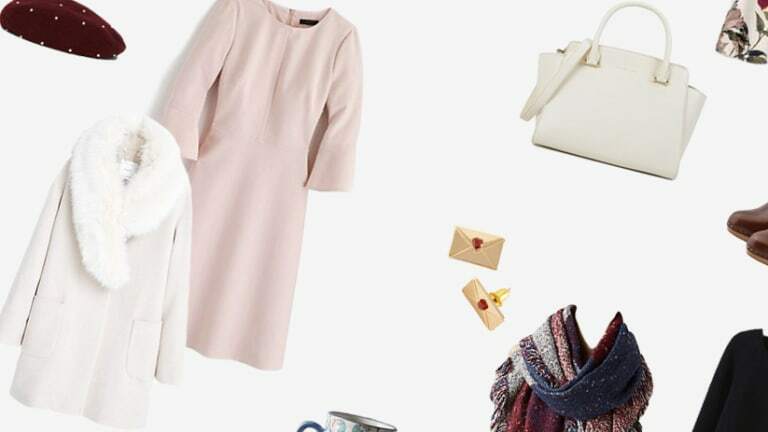 Try a boldly polka-dotted midi skirt, a frilly sweater, and extra-girlie accessories. Now, where’s that bottle of rosé champagne . . . If nothing else, this day of love is a good excuse to dress up. 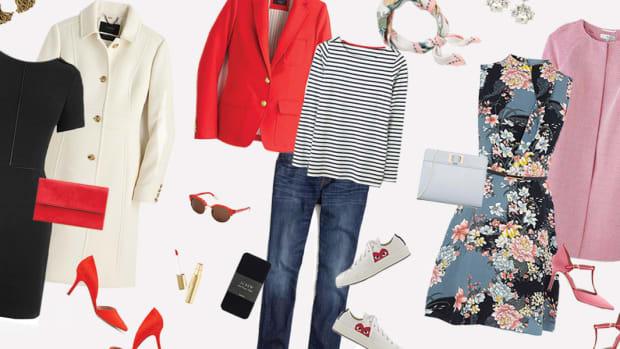 Casual or fancy, we’ve got some looks that will make you feel like your best self.